The term “patent troll” conjures up all kinds of images and ideas, but what is a patent troll? Unfortunately, there is really no universally accepted definition of what a patent troll is, which has lead myself and others to recognize that by and large if you are being sued for patent infringement it is your belief that you are being sued by a patent troll. Sadly, who is and who is not a patent troll is largely in the eye of the beholder. Still, we are not without at least some recognized industry definition. For those who can look past the surface and do not feel that patent owners are evil simply because they own patents, the term “patent troll” is usually reserved for those who acquire patents from inventors or companies, perhaps through bankruptcy, auction or otherwise, and then turn around and sue giants of industry for patent infringement. In other words, patent trolls are those who simply acquire patents for the sole purpose of suing operating companies. Such a patent troll is typically extremely well funded, they are not engaging in any commerce, so they do not fear a patent infringement counter-claim because they are not infringing, or doing, anything. It is, however, appropriate to recognize that there is nothing inherently wrong about acquiring a patent and enforcing the rights granted. This has lead many, including myself, to not want to look solely at the business model employed, but rather to focus on the patent litigation tactics employed. Anyone who has objectively looked at the state of patent litigation has to agree that there is real abuse by some patent owners who file patent infringement lawsuits without as much as a hint that the defendant is infringing. 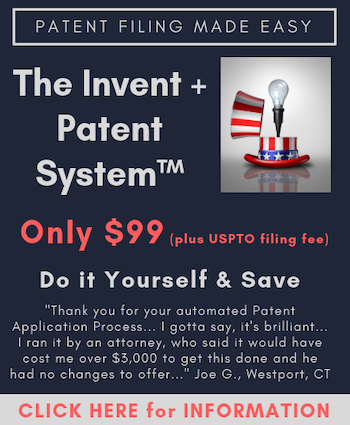 Often this type of patent owner is merely looking to obtain settlement for less than nuisance value, knowing that it costs many tens of thousands of dollars to even begin to initiate a patent infringement defense. It is this type of bad-actor who relies on judicial inefficiencies and sues on specious patents that many times are almost certainly not infringed that are the true patent trolls. This later category of patent troll is starting to turn their focus in an ever increasing manner on small businesses. Small businesses are typically easy targets because many do not have the funding, or desire, to engage in a litigation. They see the offer of a patent license as too attractive to pass up despite the fact that they are not infringing, or that the patent being asserted is likely (or almost certainly) full of invalid claims for which there is much prior art. These bad actors prey on small businesses, banking on the fact that they will pay rather than fight. Some have turned toward referring to patent trolls using the now popular term “non-practicing entities.” This is a more gentile term, but don’t be fooled. Many of the patent trolls would love to be called non-practicing entities because then they get to compare themselves with those society ought to be celebrating; those who no one in their right mind would ever consider vilifying. Yes, the bad actors who are the prototypical patent trolls are non-practicing entities, but so are Universities, federal laboratories, Research and Development companies and even independent inventors. In fact, Thomas Edison was in the business of innovating and hardly anyone would ever call his motives nefarious, at least those who are subscribers to the capitalist culture. Thus, as the debate has morphed from bad actors to a discussion about “non-practicing entities” reforms are being pursued that would harm all patent owners and weaken all patent rights. There are ways to combat patent trolls. You don’t need to be a target. In addition to the articles below I recommend those being sued or targeted by a patent troll read: What To Do If You Are Sued for Patent Infringement, The PTAB Roadblock to Patent Monetization, Inter Partes Review: Overview and Statistics, PTAB Death Squads: Are all Patents Invalid?, and Extortion Patent Style. As you will see, the Patent Trial and Appeals Board (PTAB) is striking down patents at an alarming rate. If you are going to fight as a patent defendant you really must consider filing a petition for inter partes review. If you have been sued for patent infringement, or if you have received a threatening cease and desist letter, my firm and I can help. To contact me initially please fill out my contact form and someone will get back to you as soon as possible. What follows is a sampling of IPWatchdog.com articles on patent trolls, non-practicing entities, patent monetization and related topics.